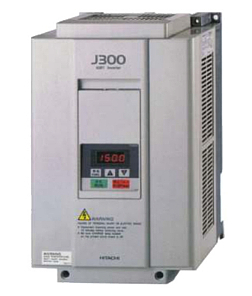 The Hitachi J300 Legacy AC Drive took this technology on a generation with the application of fuzzy logic and the incorporation of advanced features such as automatic tuning. Indeed, both the range of features and mechanical construction of the Hitachi J300 inverter is indicative of Hitachi’s total design approach. Hitachi’s sensorless flux vector J300 inverters give approaching AC servo performance from a drive that is as easy to install as any open loop system. We can offer to repair for J300s.